Yum Yum: Merry Christmas Eve - Cookie Time! 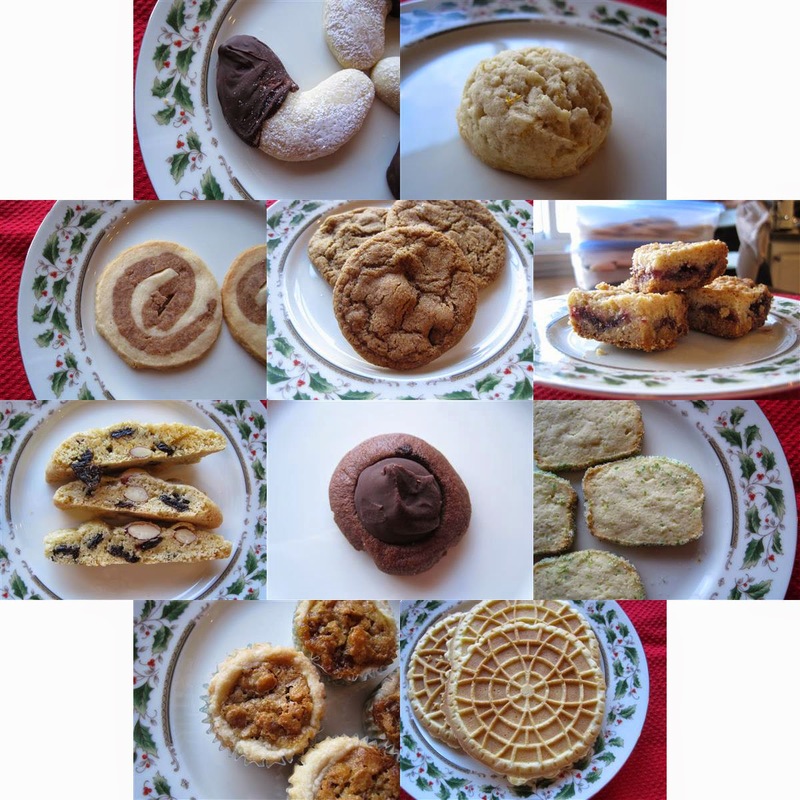 Once again this year, we were busy in the kitchen, baking batches of holiday cookies. Thanks to my mom, things seemed a little easier this year than in years past. She was a big help with clean up and quality control. This year we tried three new to us cookies: my grandma's orange cookies, lime icebox, and the mint chocolate thumbprints. So far all three have been well received so it looks like they might make repeat appearances on the holiday cookie tray. Except for the biscotti and pizzelles, which we made last, all the cookies were placed in plastic containers with wax paper between each layer and stored in the freezer. They seem to be just fine being frozen for 2-3 weeks. I'm glad we finished baking early this year. It's been nice to be able to enjoy the cookies in the week before Christmas instead of constantly baking and cleaning.